Dr. Martin Luther King, Jr. had a dream back in 1963, a premonition of freedom and equality that invigorated a crowd gathered around the civil rights leader during the March on Washington, D.C. King's words struck a chord that day – and still do more than 50 years later, as the news is full of footage of protesters decrying police brutality against African-Americans. 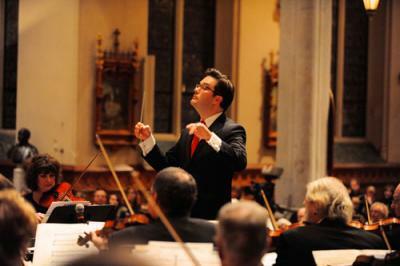 King's messages of harmony have led him to be included as one of the most influential people in American history, and the Erie Chamber Orchestra will honor him Friday, Jan. 16 at the Cathedral Prep auditorium, just a few days before the national holiday created in the spirit of the important activist. Celebrating Dr. Martin Luther King, Jr. will not be your normal concert, however, as the Erie Chamber Orchestra will offer up some new twists to the event, including a pre-show talk at 6:30 p.m. Music begins at 7:30, when the talented musicians will perform memorable works by American composers such as George Gershwin and Peter Boyer, all while mentoring program LifeThruMusic, the Martin Luther King Community Choir of Erie, Christian artist Jonathan Baker, and dancer James Dixon contribute to the event. King's dream has inspired generations of Americans since 1963, and the Erie Chamber Orchestra will honor his battle for the triumph of the human spirit this January.